You are here: Home / Blog / IdealShape vs Shakeology: Which is the Best Choice? One of the most popular weight loss trends is the idea of replacing one or more meals with shakes. Indeed, most companies promoting weight loss sell at least one type of protein shake. But, how do you pick between them? Aside from branding, the various meal replacement shakes can all seem extremely similar to one another. Yet, in practice, some are better choices than others. On this site, I’ve previously reviewed a number of companies with weight loss products, including Herbalife, IdealShape, Take Shape for Life and Shakeology. But, in this post, I want to focus on just the shakes. In particular, I’m comparing IdealShape vs Shakeology meal replacement shakes. Both companies do have an emphasis on weight loss and their products may be appealing. So, which shakes should you choose? As companies, IdealShape and Shakeology both focus on weight loss. But, they do so differently. IdealShape has a range of different products, including shakes, meal replacement bars and drinks that are supposed to suppress the appetite. In contrast, Shakeology focuses primarily on protein shakes. There are some additional products, like the Shakeology Boosts. However, these are designed to be added to the shakes, rather than being a completely different product. Because Shakeology emphasizes shakes, it’s easy to assume that their products would end up being better. But, that’s a simplistic view. As such, this comparison of IdealShape vs Shakeology aims to look at what differences actually exist between the two companies. Shakeology offers a total of 7 different shakes. Five of these are regular protein shakes, designed for a general audience. The other two are specifically for vegans. Because of the overlap in flavors, this results in 6 individual flavors (although tropical strawberry and strawberry may be fairly similar). The variety is nice but it’s worth noting that many of these flavors are fairly standard. In particular, most companies that offer protein shakes do tend to have chocolate, vanilla, some type of berry and coffee or mocha. Still, the selection is better than some other brands. In contrast, IdealShape has more flavors, including some unusual ones. The most interesting ones on the list are salted caramel, chocolate peanut butter and cookies ‘n cream. These are much less common and may be a good choice if you get bored with the traditional flavors. Now, reviews for both brands are mixed. I’ve seen plenty of people that like the flavors, along with others that can’t stand them. This isn’t too surprising. Flavor preferences tend to be pretty personal and whether you like a shake will depend partly on your own tastes and precisely how you prepare it. There are also a few other differences to consider that are relevant to special diets and considerations. Protein shakes are never cheap, especially not through companies like IdealShape and Shakeology. Shakeology offers two main options for ordering. Either you get a bag with 30 servings or you get 24 individual servings in a box. Whichever you choose, the price is $129.95 each. If you got the bag, this calculates out to around $4.30 per serving. Honestly, that’s an incredibly high price, even for a protein shake. The box with 24 servings works out at a higher price per serving. There are some discounts available. For example, if you get involved in the MLM side of the company, you can get the products for as little as $97.46 and the price is $116.96 if you were just a club member. But, even at the lowest possible price, you’d be paying more than $3 a serving. In contrast, IdealShape claims that their shakes cost less than $1.50 per serving (or $1.67, depending on which marketing you read). The claim is fairly accurate too. In particular, the shakes can be purchased in three sets and these calculate out to $1.67/serving, $1.50/serving and $1.25/serving, respectively. The ordering system is a little unusual but it basically comes down to ordering 1, 2 or 4 containers of 30 servings each. Overall, the price difference between the two companies is really extreme. It is also possible to purchase IdealShape on Amazon. The pricing here is roughly the same, although you don’t get the various gifts that the company offers. The nature of the listings also suggests that the company itself is selling on Amazon. In contrast, there are few examples of Shakeology on Amazon and you’d probably need to purchase from a distributor or the company’s website. Comparing any two companies, like IdealShape vs Shakeology, is often tricky because each one produces multiple different flavors. Those flavors can be majorly different in terms of nutrition. However, as I did for the Shakeology vs Isagenix comparison, this post will look at the nutrition for two flavors. The flavor in question for each company is vanilla, mostly because IdealShape makes it difficult to find the nutrition information for its shakes. There are a few key things to note here. First, the protein level is relatively high at 16 grams. I’ve seen shakes that are higher, especially if you focus on whey protein shakes, rather than meal replacement options. Still, 16 grams is a good level. At the same time, the fiber is 3 grams, which isn’t too bad. Now, the protein and the fiber are the main components that help to control hunger. This means that high protein shakes are normally better for keeping you full than low protein ones are. At the same time, 130 calories per serving is fairly appealing. This is fewer calories than you would typically consume in a meal, which would help with weight loss. However, the shake does contain 7 grams of sugar, which isn’t ideal. In fairness, sugar is a tricky balance with protein shakes. For weight loss, you want the sugar to be as low as possible. But, bringing it down too far results in shakes that simply don’t taste good. You might be able to force yourself to drink shakes that taste horrible but this is hard to sustain. Instead, people tend to be better at sticking to the shakes if they taste better. At the same time, 7 grams of sugar is better than many other brands. On the other hand, IdealShape has some different nutritional patterns. Here, the sugar content is much lower. This particular flavor has 2 grams of sugar, although the company’s marketing suggests that their products just contain 1 gram. The low sugar content also contributes to the shakes just containing 100 calories. Both of these areas are great if you’re trying to keep your calorie intake down. But, doing so isn’t always ideal for protein shakes. After all, the shake is supposed to replace a meal. On a side note, the company manages this low sugar content by using an artificial sweetener (sucralose). This decision may be unappealing for anyone trying to avoid artificial sweeteners. This brings me to fiber and protein. 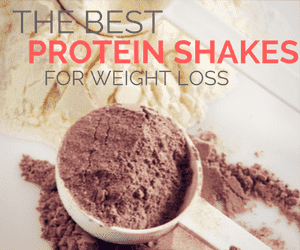 With this particular flavor, the shake contains more fiber (5 grams versus 3 grams) but considerably less protein (11 grams versus 16 grams) than what Shakeology offers. The end result is that the shakes from IdealShape are lower in sugar, calories and protein, while the ones from Shakeology are lower in fiber. It’s difficult to say objectively which nutritional profile is better but personally, I would choose the one with higher protein. After all, protein is the key reason for consuming any type of meal replacement shake and 11 grams of protein really is a low amount. A key goal of any protein shake is to block hunger. After all, the shake is supposed to replace a meal. This means that it should be able to keep you full for at least a few hours and ideally for around 5 hours. IdealShape is somewhat unusual in this sense because it makes use of a potato protein called Slendesta, which is supposed to help with suppressing appetite. It’s hard to know whether or not the hunger-blocker actually works as no other brands use it. Additionally, I wasn’t able to find any significant research to indicate that it is effective. Now, resistant starch from potatoes and other vegetables can play a role in appetite suppressing, as the site Fat-Burning Man explains. But, that still doesn't offer proof about Slendesta itself. For that matter, even if Slendesta did work, there’s no real way to know whether it is better or worse than simply having higher protein content. But, one indication comes from the claims that IdealShape makes. Specifically, the shakes are supposed to control cravings and hunger for up to 3 hours. Blocking hunger for 3 hours might be appealing but it’s not an amazing outcome. For that matter, the company is quoting 3 hours as the maximum time, so many people might feel hungry sooner than that. In contrast, Shakeology doesn’t promote a specific time frame that the shakes are supposed to work for. Both Shakeology and IdealShape offer a range of vitamins and minerals in their shakes. In fact, this is why the product is often called a meal replacement shake. Basically, the idea is that the shake contains all the nutrients that you need to completely replace a meal. Theoretically, this lets you skip a meal without worrying about your nutrients. Sites like Women's Health also talk about effective ways to lose weight with these shakes. As you can probably guess, each brand does vary in the specific vitamins and minerals that it does and doesn’t offer. However, I’m not going to go into these in depth. Realistically, it’s hard to know how relevant these nutrients are anyway. The various vitamins and minerals are just added ingredients and the end result is about the same as just taking a multivitamin supplement. As with those supplements, the process may be relevant if you were low on a particular vitamin or mineral. But, if you already get enough from your other meals, then the nutrients aren’t likely to have a major effect. Additionally, IdealShape actually does its own comparison, which includes an IdealShape vs Shakeology rundown. This comparison does suggest that both brands are fairly similar when it comes to nutrients. The comparison of IdealShape vs Shakeology shows many differences between the two brands. Likewise, each brand has its share of passionate followers, along with some people who love the flavors and some that hate them. Despite the presence of potato protein in IdealShape’s shakes, it seems likely that the shakes from Shakeology would be better at blocking appetite. This balance means that Shakeology may be better if you’re looking for the protein intake and appetite blocking. Likewise, Shakeology tends to be a better for people trying to avoid soy, dairy or artificial sweeteners. However, IdealShape wins out in most other areas. Nevertheless, this comparison just focused on IdealShape vs Shakeology. There are many other brands out there, including some that have been covered on this site and others that haven’t. At the same time, meal replacement shakes aren’t always the way to go. Often these shakes compromise your potential to lose weight because of their relatively low protein content and higher amount of sugar. In many cases, it’s better to focus on protein shakes. These are slightly different, as they aren’t specifically designed as a meal replacement. Instead, they are used for a range of purposes, including bodybuilding, weight loss and even weight gain. As a result, the shakes tend to be higher in protein and lower in sugar. They also contain fewer ingredients overall, as there isn’t a focus on a large number of vitamins and minerals. These patterns mean that protein shakes are often better for weight loss and tend to keep you full longer. The best option that I’ve found is whey protein shakes, which can be great for health and for weight loss. Do you use this type of shake for weight loss? If so, what brand do you recommend? Nice review. I’ve been researching more about this Idealshake as a friend of mine is using it so I wanted to look into what it’s about. I do want to correct some things however. Shakeology’s composition is gluten free but due to the manufacturing process (the facility it’s made in is not gluten free) they cannot claim it due to the possibility of cross-contamination. I have friends who are gluten-sensitive that drink it without an issue. Also, the term “meal replacement” should be used loosely. It can be drank as a snack, not necessarily as your main breakfast or lunch if you so wish. The nutrition plans accompanied with Shakeology allows you to drink it whenever a red container is required. Last, we don’t like to refer to it as a protein shake or weight-loss shake. It’s a nutrition shake with powerful probiotics, natural sugars from the amazing superfoods that are in it and no soy. Shakeology is definitly for someone who is conscious and emphasizes what is put into their body. Many of us have also found we don’t need to take our other daily supplements anymore as well as Shakeology covers much of what we were missing (using those savings to put towards Shakeology). Shakeology is meant to be used as a healthy lifestyle change not a weight-loss quick fix. Also the fact that Idealshake makes it hard to find the nutrition on the additional flavors is alarming. Adding flavors adds sugar and other nasty products. I’ve heard many of these ideas before and I do agree with some of them. You’re right that meal replacement is a fairly loose term, it’s mostly just a useful way of comparing shakes, as some have extra nutrients and others don’t. And yes, Shakeology isn’t normally called a protein shake or a weight loss shake. But, the marketing strongly implies the concept. And, regardless of whether those terms are used or not – many people buy the shakes for weight loss benefits first and foremost. Why even bother otherwise? The nutrients are useful, sure, but there are many other sources of them.